Much has changed since we took our first look at the OSSC back in March. Almost all the issues we had with jitter and compatibility have disappeared thanks to new firmware updates. The device really feels ready for the mainstream now. If you’ve not already subscribed to our OSSC Newsletter, you might want to do so now as we will have more information in a newsletter very soon. In this article we’re going to take a closer look at one of the unique features of the OSSC, line triple mode. As we’ve explained in other articles, while the OSSC shares some similarities with the well known XRGB Mini, it’s actually much closer to the older XRGB series of devices which focused more on line-doubling. Line doublers simply take one scanline at a time from the source then double it, so a 320×240 image becomes a 640×480 image. The advantage of this approach is speed. Line doubling can be done with only nanoseconds of added input lag. The disadvantage of course is that line doubling only allows you to scale to 640×480 resolution, effectively leaving you at the mercy of your displays scaler for the rest of the process. While most TVs do a reasonable job with 480p, they are often optimised for video rather than graphics and can soften the image. What if, instead of doubling each line in a 320×240 image, we tripled it instead? That would give us a resolution of 960 by 720. Not that far off of 1280×720, the standard resolution for 720p. Potentially this is a win-win situation, we get the lag free up-scaling that line doubling offers, while giving our display an image that’s hopefully much closer to its native resolution, potentially allowing for sharper scaling. The OSSC is the first and only device to offer this feature, but how does it work and are the results as good as expected? The OSSC has a number of line triple modes designed for different resolutions or systems. To choose a mode, use the remote and press the Menu button, then navigate to “Linetriple Mode”. For most systems, you’re going to want to choose “Generic 4:3”. 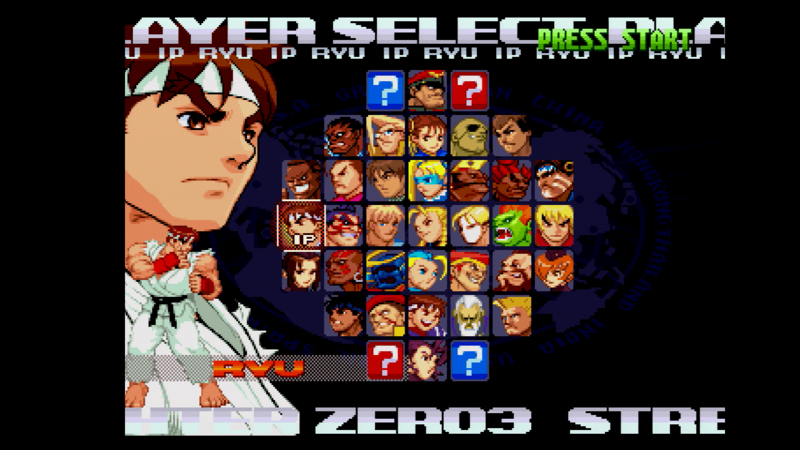 A small handful of 240p games supported widescreen and for those you would choose “Generic 16:9”. The remaining modes, called “320×240 optim” and “256×240 optim” are for specific consoles and we’ll come to those later. Interlace sources are not compatible with line-triple and so will be simply line doubled/bob deinterlaced as normal. To get started with line triple, start with the generic 4:3 mode and then navigate to “240/288p LineX3” on the LCD and turn it to “ON”. One of two things will now happen, you will either see a line tripled image on your display, or you will see a black screen, possibly with an “unsupported mode” message. Unfortunately, line triple mode outputs a signal that’s somewhat non-standard and some displays simply won’t accept it. As a general rule of thumb, computer monitors usually will accept the signal, while it’s much more hit and miss with televisions. Having said that, we’ve seen a surprising number of televisions that do accept the line tripled image, including a number of newer sets. While originally only for 240p images, line triple mode now works for PAL sources too. 288p line triple mode tends to be less compatible than line double mode, so even if your display supports line tripled 60hz content, there’s no guarantee that 50hz material will work. So, does line-triple mode make a noticeable difference? In most cases yes, the resulting image is really fantastic. As with line double mode, it all comes down to exactly how your display handles 480p scaling, but on most displays there’s an appreciable increase in picture sharpness. If you’re unlucky enough to have a television that scales 720p badly, then line triple mode is going to perform badly too. On the other hand you may have a TV that doesn’t scale 480p all that well, but scales 720p fantastically. Some of the Panasonic LCDs have this problem and produce a very poor image from the OSSC in line double mode, but a dazzling image when used with the line triple mode. Furthermore, a small number of displays don’t provide aspect ratio controls for 480p images, or prevent the aspect ratio being changed when game mode is enabled. Line triple mode solves this problem too, since you can choose 4:3 or 16:9 mode when enabling the feature. Below are some screenshots of the Generic 4:3 line triple mode in action, captured at 720p native using the Startech PEXHDCAP capture card. Click on the images to enlarge them. You can see that the picture is shifted slightly to the right. This happens on many displays, but a picture shift correction feature is planned for a firmware upgrade in the near future. As well as offering the generic 4:3 and 16:9 line triple modes, the OSSC also has a 320×240 optimal and 256×240 optimal mode too. These modes are for those of you who obsess over pixel perfect integer scaling. Using these special line triple modes is a little fiddly. First of all you need a source that is compatible. 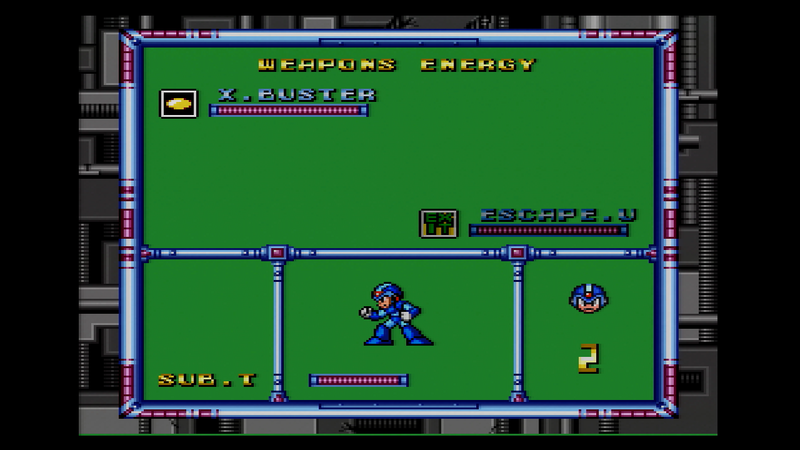 The SNES can be used in 256×240 mode, for example. Once you select the “256×240 optim” mode, you will need to manually adjust the sampling phase to remove picture jitter. Regrettably, you will find that the ideal value changes each time you use this mode. This can be problematic especially on games which switch between 240p and 480i. Once you’ve found the optimal sampling phase setting, you need a game that’s compatible. 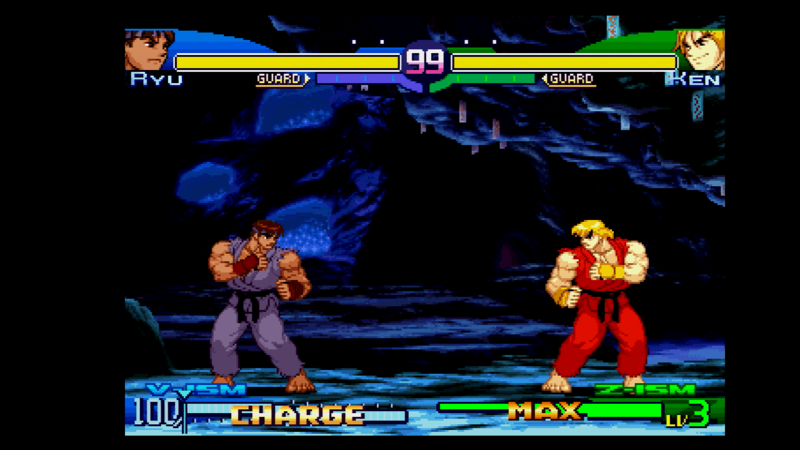 You will notice that many SNES games don’t look good at all using the optimal scaling mode. This is because many SNES titles use a horizontal hi-res (512×240) screen mode. If you try to use this mode with the 256×240 optimal line triple mode you will end up with missing pixels and it won’t look good at all. Given optimal conditions however, the optimal modes can produce a super sharp image. 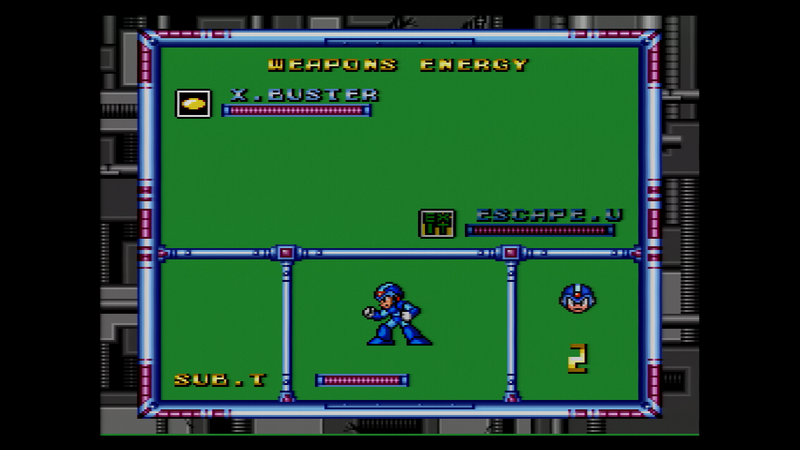 Below are a couple of screenshots of Mega Man running on the SNES. The left hand side shows generic line triple, while the right shows 256×240 optimal line triple. The screenshots had to be taken using the XRGB Mini in scaling (rather than passthrough) mode, since the PEXHDCAP doesn’t like the signal from the OSSC and SNES otherwise. Since both the input and output modes were 720p, the Mini should be doing little or nothing to the image. As you can see, the sharpness is increased. The aspect ratio changes too, meaning you might need a video processor with picture zoom controls to completely correct it. For most users the extra pain and hassle involved with the optimal modes might not be worth it, but if you’re willing to experiment with these advanced features and you like very sharp scaling, you should give them a go. OSSC and DVDO – A dream team? Before the OSSC came along, a common high-end scaling setup was an XRGB 2 or 3 chained with a DVDO Edge or VP50 video processor. The earlier XRGB scalers were line-doublers, much like the OSSC, but they lacked many of the OSSCs advanced features and of course their output was analogue only. The DVDO scalers, on the other hand, were full blown video processors, but their processing of 240p/288p material left a lot to be desired. Combine the two however and you end up with a very versatile solution. Now that OSSC has arrived, the old XRGB units are pretty much obsolete. Just like with the XRGB scalers, you can pair an OSSC with a DVDO scaler. By doing so, you effectively turn the setup into a cutting edge scaling solution for videogame material. The DVDO scalers have extremely low input lag too, between 6 and 8 milliseconds for progressive sources in most cases. The OSSC works even better in tandem with a DVDO scaler than the XRGB3 did. All line triple modes are fully compatible. Feeding in a line-tripled image gets rid of the slight ringing that 480p sources display on the DVDO scalers. What’s more, the DVDO scalers have excellent picture zoom/pan facilities and full aspect ratio correction. If your line tripled image doesn’t fill the screen you can apply a little zoom to fill the space if you like. Of course this may affect the scaling, but the DVDOs are surprisingly good in this respect. If you’re using scanlines, you want to avoid zooming or distorting the image so that one scanline is noticeably thicker or bigger than another. You can test for this in the 240p test suite or by running a vertically scrolling game. Since you can freely zoom and pan along the horizontal and vertical axis, you can correct any aspect ratio abnormalities with the DVDO too. Sadly, it must be noted that the DVDO Edge, probably the most common and affordable of the DVDO/ABT scalers, has a strange bug whereby some sources have increased input lag. Typically this affects consoles whose vertical refresh rate is just a fraction under spec. Something like a Sega Saturn, with its vertical refresh of 59.82, is enough to trigger the bug, while a genuine NTSC Megadrive, at 59.91hz is fine. This particular abnormality bumps the input lag up to 25ms from the usual 6ms, which puts the whole setup in the same ball-park as the XRGB Mini, so it’s certainly not intolerable, just a little disappointing. Strangely, PAL sources that deviate from spec don’t seem to be affected. We’ve heard reports that the VP50 Pro, once the flagship scaler from the ABT range, does not suffer from this problem. However these units are much rarer. We’re arranging to get one in for testing and will update when we have the unit. Thanks for the overview. How are scanlines handled in line-triple mode? Wow this looks incredible. Can you confirm that 288p like triple mode outputs (on default settings) 960×864? Also, is there support for any more horizontal sampling options than 320, 256 pixels? I have some weird and wonderful devices that would benefit from other alternative horizontal sampling modes. Lastly, any tips to reduce the noise from the SNES video out? I’m using an official Nintendo cable and I can’t get anywhere near your screenshots above! I’ll check into the 288p line triple resolution for you. Custom horizontal sampling for advanced users should be in a future firmware update. Try a clean or luma sync SCART cable with your SNES. Note the OSSC has significantly less noise than the XRGB scalers too. I just skimmed this..but noticed the bit about the DVDO at the end. Would a DVDO iScan VP30 work well for this purpose? It should, though it’s not been tested. 500 more are due early October now. If you’re subscribed to the newsletter you’re already on the waiting list.